More than a 1,000 policymakers, researchers, practitioners and advocates from 75 countries are deliberating at the first Global Maternal Newborn Health Conference in Mexico. The objective of the meeting is to strategise actions needed to achieve the targets that focus on child and maternal health, in Sustainable Development Goals (SDGs). At the conference, a report titled “Countdown to 2015”, an annual accounting of progress and remaining gaps in 75 high-burden countries, was launched. High-burden countries, referred as Countdown countries in the report, are nations where more than 95 per cent of global deaths of mothers, new borns and children occur. Referring to Millennium Development Goals (MDGs), the report also pointed out to certain issues that need to be dealt on priority. The conference aims to ensure that there is an overall mechanism for improving accountability, re-energising commitment, and recognising accomplishments in child and maternal survival. According to a press release, every day, 800 women and 7,400 newborns die from preventable complications related to pregnancy, childbirth and other causes. Additionally, 7,300 women suffer a stillbirth. The report found that although maternal and child survival improved markedly during the Millennium Development Goals (MDGs) era (2000-2015), equity of coverage of key interventions remains low in many parts of the world. Though under-five mortality and maternal mortality have been reduced by about half since 1990, and the rate of improvement has accelerated since 2000, majority of the countries will fail to achieve the reductions required by the MDGs. Some 50 countdown countries will fail to achieve the child mortality reductions required by goal 4 of MDGs, and 69 countries will not achieve the maternal mortality reductions required by goal 5, the report said. Only Cambodia, Eritrea, Nepal and Rwanda will achieve both Millennium Development Goals 4 (reduce child mortality) and 5 (improve maternal health), it said. Adding that newborn survival and child nutrition are two key continuing challenges that must be addressed, the report said newborns account for 45 per cent of deaths among children under five years of age. Neonatal conditions cause an increasing share of child deaths as interventions have reduced deaths of older children, it said. In more than half of the 75 countries covered in the report, stunting affects at least 30 per cent of children under five years of age, and wasting affects at least five per cent. Almost half of all child deaths are attributable to under nutrition. Stunting is a sign of inadequate diet and repeated illness while wasting is a marker of acute malnutrition. The report stated that most of the countdown countries have a severe shortage of skilled health workers, with a median of 10.2 physicians, nurses and midwives per 10,000 people, and three-quarters are below the World Health Organization (WHO) benchmark of 22.8 per 10,000. The report also found that services requiring contact with a working health system have lagged behind the most, with family planning, pregnancy and childbirth services having large coverage gaps. 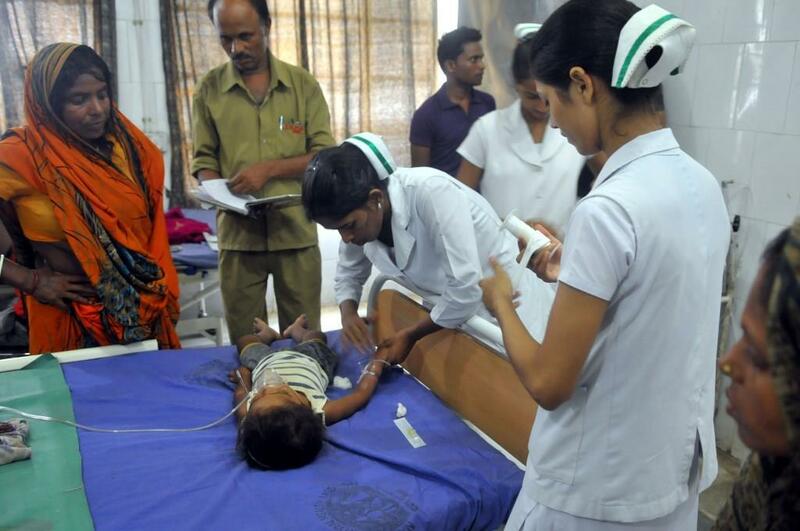 According to the report, the under-five mortality rate in India stands at 47.7 per 1,000 live births. It further stated that 57.9 per cent of the deaths occur during the neonatal period. According to MDGs, the country’s target was to reduce under five mortality rate to 42 deaths per 1,000 live births by 2015. The SDGs demand end of preventable deaths of newborns and children under five years of age by 2020 with all countries aiming to reduce neonatal mortality to at least as low as 12 per 1,000 live births and under-five mortality to at least as low as 25 per 1,000 live births. The Countdown report also stated that India’s maternal mortality ratio was 190 per 100,000 live births in 2013 far from the SDG target of reducing the global maternal mortality ratio to less than 70 per 100,000 live births by 2030. Moreover, the country also failed to achieve its MDG target of reducing maternal mortality to 109 per 1,00,000 live births by 2015.